Organisations leading the social enterprise are moving beyond mission statements to help bring meaning back to the workplace and human identity back to the worker, says a study. 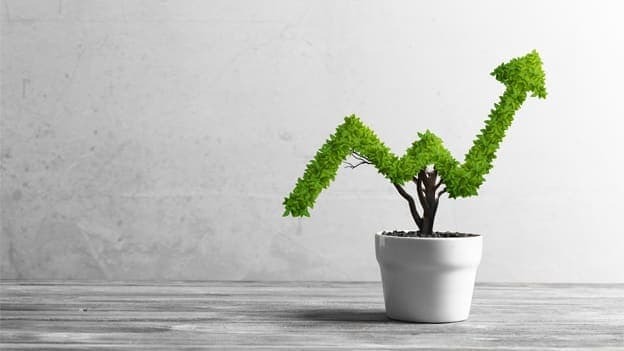 More than 70 percent of industry-leading social enterprises globally expect stronger business growth in 2019 than in 2018, compared to only 55 percent globally of those where the social enterprise is “not” a priority, says a study. However, only 23 percent in SEA (19 percent globally) reported being “industry leaders” in their organization’s maturity as a social enterprise, according to 2019 Global Human Capital Trends report by Deloitte titled “Leading the social enterprise: Reinvent with a human focus,”. Today, more than 4 in 10 of respondents (36 percent in SEA) said social enterprise issues are more important to their organization than they were three years ago, and 56 percent in SEA and globally expect them to be even more important three years from now. This focus on the workforce comes as more than 94 percent in SEA (86 percent globally) cited reinventing the way people learn as important or very important – the No. 1 trend for 2019. Leading organizations are empowering individuals’ need to continuously develop skills by investing in new tools to embed learning not only into the flow of work but the flow of life. With the need to sustain 50-60 year careers as part of a 100-year life, lifelong learning has evolved from a matter of career advancement to workplace survival. However, even with this emphasis on learning, only 12 percent in SEA (10 percent globally) said their organizations are “very ready” to address this topic. Amplifying the need for continuous learning is the ongoing adoption of automation technologies as 68 percent in SEA (64 percent globally) said that automation is important or very important. Yet even with these advancements, human skills remain critical to augment the value of this technology. In response, organizations should consider redesigning work into a new category of “superjobs,” which combine the work and skill sets across multiple domains, opening up opportunities for mobility, advancement and the rapid adoption of new skills desperately needed today. In the age of the social enterprise, organizations are being challenged to up their game when it comes to the employee experience. This emphasis comes as only 38 percent in SEA (49 percent globally) believed that their organizations’ workers were satisfied or very satisfied with their job design and only 38 percent in SEA (42 percent globally) thought that workers were satisfied or very satisfied with day-to-day work practices. As organizations look to provide technology to support employees’ work, only 32 percent in SEA (38 percent globally) said that they were satisfied or very satisfied with the current work-related tools and technology available. Finally, only 25 percent in SEA (38 percent globally) of respondents thought that they have enough autonomy within their jobs to make good decisions, providing further evidence that significant reinvention is required. Creating this human experience requires a different type of leader. Eighty-nine percent in SEA (81 percent globally) believed that “21st-century leaders” face unique challenges and requirements, making it critical for organizations to extend leadership pipelines to find and build leaders from within the organization. Developing new leaders from within can help them hone critical skills, including managing through influence, promoting transparency, and thriving in a more collaborative and connected world. Underlying this shift is the continued reinvention of the traditional hierarchical organizational model. One-third (27 percent in SEA) of survey respondents said their organizations now operate mostly in teams within a hierarchal framework and another 46 percent globally and 33 percent in SEA said that they are somewhat team-based. However, most C-suite leaders, tools, cultures, and incentives are still struggling to adopt and support the team-based model. With the advent of new technology, organizations can use data and insights to complete this shift. In this 10th year of the economic recovery, organisations are finding themselves in a job-seekers’ market as the war for talent rages on. As a result, the importance of internal, enterprise-wide talent mobility has become paramount. In 2019, three-quarters (71 percent in SEA) of survey respondents believed new tools and models for careers, and internal mobility are important or very important. Beyond mobility, organizations are finding that they need to look at the technology provided by the cloud as a launchpad, not a destination. But despite investing billions in HR technology, 61 percent in SEA (65 percent globally) report that this technology is inadequate or only fair at achieving its overall objectives. With new talent approaches, the way many organizations compensate and reward workers have fallen out of date. Today, only 12 percent in SEA (11 percent globally) of respondents felt that their rewards systems are highly aligned with their organizational goals and nearly one-quarter (34 percent in SEA) do not feel they know what rewards their employee's value.